Linburg Coach Travel are delighted to have been awarded further Contracts by Derbshire County Council to operate school-time bus services in the Etwall and Chapel-en-le-Frith areas. This means that Linburg buses can now be seen in all parts of Derbyshire operating services on behalf of Derbyshire County Council. The Etwall area services are being operated from Linburg’s existing Derby depot but an additional Out-Station has been established in Chapel-en-le-Frith to service the operations in the North West. Gill Dawson commented that the Company felt extremely honoured that Derbyshire County Council were showing such faith in Linburg and that they look forward to providing the service levels that all Linburg customers including DCC have grown to expect. When National Express needed a reliable and trusted Contractor to step in at Short-Notice to cover the extremely-busy 330 Service from Derby to Penzance during 2011, they turned to their long-time loyal allies at Linburg Coach Travel. A prompt response and some trade-mark hard work from drivers, engineers and management staff at Linburg ensured uninterupted continuity of service for holiday-makers and people visting family and friends on the National Express 330 Service. 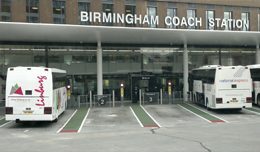 “We value National Express very highly as a long-standing customer and are delighted to have been given the chance to show our appreciation by helping to uphold their excellent reputation as the Country’s leading Express Service Network” commented Gill Dawson. Following the award of 3 School Contracts at Friesland School, Long Eaton, Linburg Coach Travel are delighted to have been awarded a Commercial Contract for the School. In order to fulfil this contract we have added 94 seat double decked buses, fully fitted with seat-belts, to our fleet. Ideal for transporting two or even three school classes on one, economical vehicle. Sales Director, Gill Dawson believes this will open many more opportunities for the Derby and Sheffield branches. Linburg Coach Travel has significantly strengthened its commitment to its customers in the East Midlands with the opening in November 2010 of a new Derby Operating Centre. 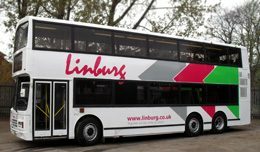 Having buses and coaches permanently stationed in the centre of the City of Derby has further increased Linburg’s ability to support its existing customers who include National Express, East Midlands Trains, CrossCountry Trains and Derbyshire County Council. It also means that Linburg Coach Travel are able to provide professional bus and coach hire services to new customers in the corporate sector, schools, clubs and societies in the Derby and Nottingham areas. For Operations Director, John Hadaway, this has been something of an overdue business homecoming. 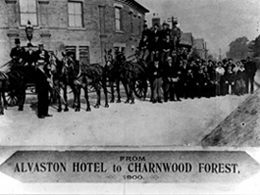 His Great Grandfather, William Potter, pictured here on the left, operated horse-drawn coaches in Derby at the beginning of the Twentieth Century. Business was brought to an abrupt holt however when, on the outbreak of The Great War, the Company’s horses were requisitioned by the Army for the war effort. William’s best horse however never made it out of Derby let-alone to the frontline, as unused to being saddled and ridden by an Army Officer, it bolted complete with rider, straight through the plate glass window of The Midland Drapery on St Peters Street in Derby, where the horse died of its injuries. Nearly one hundred years later, John is excited to be picking up the reigns on behalf of his Great Grandfather, bringing his own many years of professional coach hire operations experience back to Derby, supported by Linburg Coach Travel Sales Director, Gill Dawson, also a Derbyshire resident. Things have changed a lot in a hundred years. Modern, powerful and smooth Linburg luxury coaches with air-cushioned suspension, ‘Royale’ reclining seats, air-conditioning and Central-heating can be seen everyday. The Linburg Coach Travel team for the Twenty-First Century will be delighted to discuss your own group travel needs. Linburg Coach Hire is also delighted to confirm its recent appointment as the largest single provider of school to pool transport services by Sheffield City Council. Linburg Sales Director, Gill Dawson, commented that Linburg was very honoured to have satisfied Sheffield City Councils exacting standards to the extent where they felt able to make such a significant award to the Company. 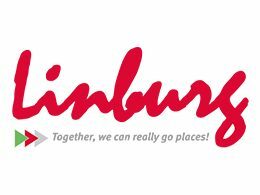 ‘We are excited that Sheffield City Council have recognised the value offered by Linburg Coach Hire together with the high standards for which we strive every day’ she added.